Welcome to Maharashtra Village Social Transformation Foundation! Take a look at what partners say about us! "I commit to join this noble endeavor that aims to reach the most vulnerable villages of Maharashtra." "Maharashtra Village Social Transformation are trying to transform villages of India. I am very happy to be able to provide able assistance from Shri. Pardeshi and Wildlife Conservation Trust is working in villages near the forest area. We have to save the forest and benefit the local community living around it. How they be better educated; how they can get jobs; and that is what we want to do over there." 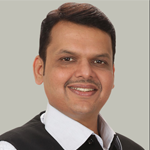 "India will prosper only if its villages are transformed and I would like to compliment the Chief Minister of Maharashtra and Maharashtra Government for this amazing initiative which is aimed at creating 100 model villages which will then become beacons of excellence for the other villages in the state and hopefully in the country to follow. This truly a very ambitious project and already in the early days it is showing great signs of success and its privilege for me and my wife to be part of this movement." "Working together I think is a win-win and it’s a great idea to work in villages and ensure development. Best of luck to VSTF."